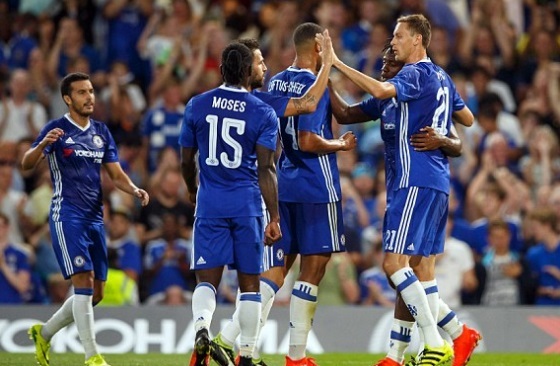 Chelsea played in the EFL Cup round 2 on tuesday night and Antonio Conte gave several fringe players a chance to start. New signing, Michy Batshuayi scored in 29th minute to put the blues 1-0 while Victor Moses made it 2-0 minutes later. At that point it was expected Chelsea will just steamroll Bristol Rovers but the minnows made a game of it scoring two on either side of Michy Batshuayi’s second goal. Michy Batshuayi started his first Chelsea game and scored twice helping Chelsea to a yet another narrow 3-2 win. 29′ 1 – 0 Michy Batshuayi scored his second competitive goal for Chelsea at half hour mark. 31′ 2 – 0 Victor Moses scored minutes later after Batshuayi’s goal to double Chelsea lead and gave himself a chance to reseruct his career. 34′ 2 – 1 Peter Hartley brought Bristol back in the game in 34th minute in crazy 5 minutes in the game. 41′ 3 – 1 Michy Batshuayi put Chelsea back in 2 goal advantage and both teams went into the break with Chelsea lead 3-1. 49′ 3 – 2 Ellis Harrison converted second half penalty to make it 3-2 and made rest of the 30 minutes interesting. Overall it was another shaky performance from Chelsea who unlike first two premier league games took easy 2-0 lead but looked to have threw it away. But Bristol Rovers failed to put enough pressure on Chelsea defense in the end to get back on level terms. Chelsea has not qualifed for the third round where they can be drawn against any team from England including the premier league. The draw for the third round of League cup will be made on Wednesday night and we will have the live updates right here.